Feeding fish is an area where many people go wrong. It's all too easy to kill fish with kindness. Overfeeding is guaranteed to pollute the tank and kill its inhabitants. In the wild, fish eat whenever they feel like it, and whenever they can find food. It's ideal to offer very small amounts (no more than can be eaten in 30 seconds) several times a day. For those pressed for time, the traditional twice daily feeding should be gone in a minute or two maximum, with no extra floating around. Different fish have different needs. It is our job as caregivers to see that these needs are being met. All fish, from the common Goldfish to the rarest African Cichlids need variety in their diets. them some steamed white rice. It's good for keeping on the weight and avoiding balance problems. Predators should be fed with pellets and frozen foods with the occasional live food, if you can get some. It can sometimes be a problem if they are only used to eating live food, but try to get them onto a mixed diet, as it's better for them. Medium to large South and Central American cichlids need large pellet food and lots of meaty frozen foods. African cichlids from Lake Malawi, prefer vegetarian based food, in pellets, flakes and frozen foods. Cichlids from Lake Tanganyika and the "Haplochromis" types from Malawi like a mix of meat and vegetables. Don't forget your clean-up crew. Those catfish that work away without asking for much need to be given some sinking pellets, both shrimp and algae. Catfish like Ancistrus, or Bristlenose cats, need wood in their diets, and should be kept in with driftwood. Algae eaters and vegetarian type fish such as the livebearers and cichlids will eat blanched lettuce, zucchini or mashed peas, but remember to remove what they don't eat after about 2 hours. 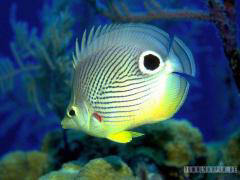 The market for tropical fish food is quite large and there are foods for many different types of fish. Don't be shy - experiment. Give different brands a shot and look for the food that you think brings out the best in your fish. When you go away on vacation, always try to get the tank to sustain itself. In a lightly stocked, planted aquarium, adult fish can easily go for a few days without extra food. One of the most dangerous things for aquarium life is when you get non-fishkeeping friends to "over" feed your pets. The best way to take care of your fish while you are away is to do all of your maintenance the week before you leave, then get yourself a good automatic fish feeder. The automatic fish feeder will feed the fish twice a day. You can adjust the amount to make sure they are not getting too much. You can also try one of the many vacation blocks that slowly dissolve and release food. These are sometimes unreliable - either getting eaten up too quickly or not dissolving fast enough. If you must have a friend take care of things while you are gone, make sure it is someone who has a basic idea of what to do. Measure out the daily portions of food and tell your friend if he/she misses a day, not to try and make up for it by adding any extra. When you get back do a 25% water change using a gravel cleaner, just to make sure everything is okay.